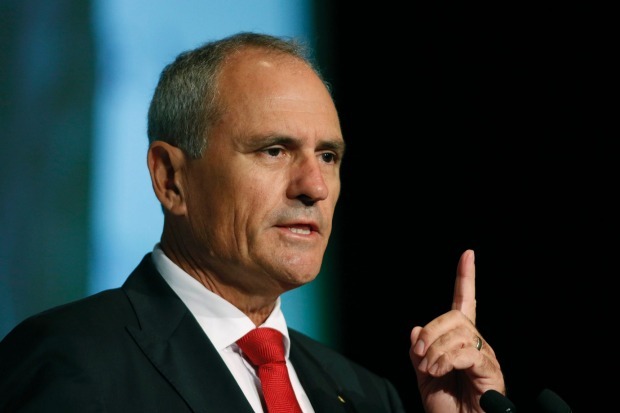 In February last year, NAB chairman and former Treasury secretary Ken Henry blew into Canberra to lament the damnable state of politics. Politics, he said, had degenerated into trench warfare in which populism was the ammunition. The reform narrative had been replaced by the language of fear and anger. “Our politicians have dug themselves into deep trenches from which they fire insults designed merely to cause political embarrassment. Populism supplies the munitions,” he said. 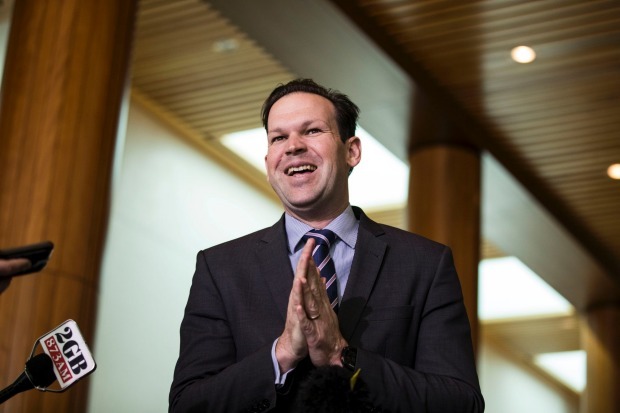 Resources Minister Matt Canavan accused business of getting ahead of itself. 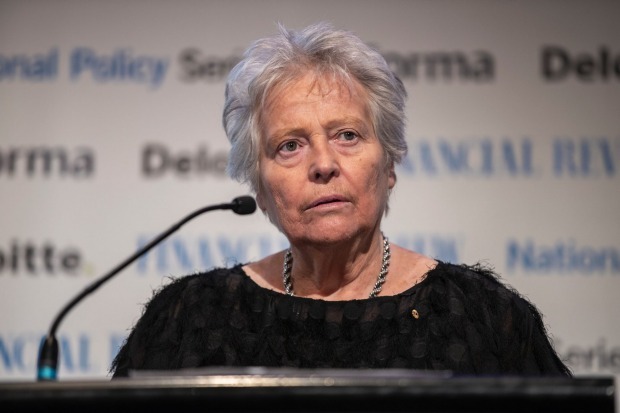 Australia had become so paralysed by political inaction that it had gone from an optimistic nation which pioneered world’s best policy and nurtured world’s best institutions to a place that nobody looked to anymore “to see how it should be done”. Henry said the key casualties included budget repair, a lack of sorely needed population policy and no settled policy for energy security and climate change. “The biggest challenge confronting the energy sector is that climate change policy in Australia is a shambles,” he said. “At least 14 years ago, our political leaders were told that there was an urgent need to address the crisis in business confidence, in the energy and energy-intensive manufacturing sectors, due to the absence of credible long-term policies to address carbon abatement. “I’m still going through the stages of grief, and I haven’t left anger yet,” she said of the NEG. As an antidote, Henry argued that business had to stop hoping politics would come good and, instead, take the lead where it could. This week, that prophecy came true when it emerged the nation’s energy companies and largest electricity users, led by the Business Council of Australia, had all but given up on politics. They have been talking among themselves about establishing an industry-led, self-regulating set of measures which would reduce emissions, ensure energy reliability and provide investor stability, all of which politics has failed to deliver. “It’s a package, not a scheme, for industry, versus waiting for government to come up with something else, another acronym which becomes the anti-Christ for the political right or left,” said one source involved in the talks. The tipping point for the initiative was the last-minute collapse of the National Energy Guarantee for reasons of pure ideology. The NEG, imperfect as it was, was regarded as the last chance for a political consensus on climate and energy policy. Labor dropped its own plans for an emissions intensity scheme for the energy sector and was prepared to embrace the NEG and end the climate wars. But the right of the Liberal Party thought it more important to have a fight than a fix. The NEG would have mandated power retailers meet reliability and emissions reductions targets. The latter was so unambitious it would have been met in a canter. But the ideologues in the Liberal Party so opposed anything which mandated reducing emissions that they used it as a cudgel to wield against Malcolm Turnbull. Scott Morrison, upon coming to power, removed emissions reduction as a consideration of energy policy, just to keep the right happy. Back to trench warfare. With Labor still believing in the need for emissions reduction, the government is gambling on going back to the old pre-election battlelines of a power-price war with the Opposition. To appease Alan Jones, who complained about the term “dispatchable power”, Morrison and his Energy Minister Angus Taylor, otherwise grown men, talk about delivering “fair dinkum” power and of Taylor really being the minister for low power prices. Simplistic language designed to appeal to Percy Punter but which fails to grasp the complex transition under way in the energy sector. The NEG was never about price, it was about reliability and emissions. However, there was a small claimed dividend of an estimated price reduction of $150 a year on the average household bill. The parallel interventionist measures the government was, and still is, planning to introduce were aimed at price. There was nothing to be gained by abandoning the NEG other than pandering to an ideology. The NEG was also about giving the energy sector and its biggest clients a stable set of rules. Taylor had a point when he said that while the major parties may have agreed on the NEG, they still disagreed on the size of its emissions target. “There is no room for bipartisanship when we have a 26 per cent [reduction target] and the other side has 45 per cent,” he told the The Australian Financial Review National Energy Summit in Sydney on Wednesday. Still, an agreed policy framework in which change would have to be argued through the Parliament would have been a quantum leap on the current shambles. The language of simpletons is fine if you feel no need to pay regard to climate change and investment risk. It worked before for Tony Abbott but this time might be different. Business and industry are furious at the demise of the NEG. Publicly, their language is diplomatic. Privately, much of it is unprintable. Even the typically reserved Kerry Schott, a co-architect of the NEG, didn’t hold back at the Summit on Wednesday. The intention of big business to go it alone robs the Coalition of powerful allies which have bolstered its case in the past against pricing carbon. It can only help Labor. The government is unimpressed. Morrison dismissed Schott’s claim of anarchy as rubbish. Resources Minister Matt Canavan accused business of getting ahead of itself. “We have a way of resolving fraught political dispute in Australia, it’s called democracy, and I don’t think the corporate sector is a replacement for democracy,” he said, as if there were still some possible political solution to the dispute. The go-it-alone plan involves the 22 members of the BCA’s Energy and Climate Change Committee. They include energy generators and retailers, manufacturers, mining giants and gas and oil multinationals. We’re not talking hippies here. When such companies believe they must take it upon themselves to reduce emissions and establish their own investment guidelines, it is a general damnation of politics but, especially, it leaves the Coalition isolated.